When The Asphyx was released in 1973, The Exorcist was about to change the landscape of horror forever, moving the genre away from subtlety and into the realm of graphic effects and makeup. 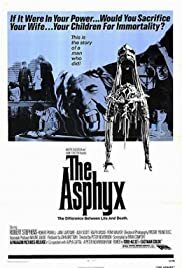 That's one of the reasons why The Asphyx was a box-office flop, fondly remembered by a select few who never forgot this quirky little "thinking man's horror film" (as Variety called it), in which a 19th-century British philanthropist and amateur psychic researcher embarks on a fateful quest for immortality. Sir Hugo Cunningham (nicely played by Robert Stephens) has a morbid hobby of taking photographs of dying people, and this leads to his discovery of a nebulous spirit of the dead--known in mythology as the Asphyx--that appears (only visible on photographic plates) at the moment of death. 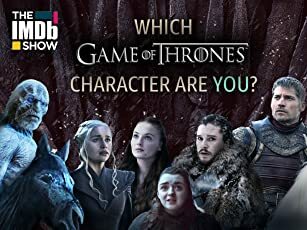 Sir Hugo becomes obsessed with capturing his own Asphyx and thus ensuring that he cannot die, but of course this is an ill-fated ambition that puts Sir Hugo on a ruinous path to destruction and death. With its talky, literate script, well-drawn characters, and fascinating themes, The Asphyx bears closer resemblance to the Hammer horror films that became passé in the early and mid-1970s. The chills are subtle but effective under the direction of Peter Newbrook, and the widescreen cinematography by Freddie Young (whose credits include Lawrence of Arabia) adds polish and elegance to the proceedings. Filled with foreboding atmosphere, this is an intelligently conceived horror film that relies more on story than shocks, although the screeching Asphyx is eerily haunting. Kudos to Allday Entertainment for producing this DVD--The Asphyx has been rescued from obscurity, painstakingly remastered in its original 2.35:1 aspect ratio for discerning connoisseurs of high-class horror.